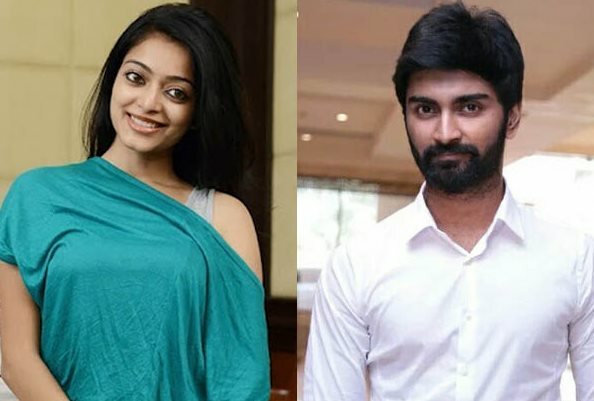 Janani Iyer has cleared the air on gossips linking her with Atharvaa Murali. “I am not in a relationship with Atharvaa or anyone else. Right now, my focus is on my career and let me do it without any diversion,” she says. She however maintains she prefers love marriage. “I would like to meet my kind of man, fall in love with him and then to enter wedlock. I won’t go for arranged marriage,” says the ‘Thegidi‘ and ‘Avan Ivan‘ girl. Last week, Janani celerated her birthday on the sets of her upcoming Tamil film ‘Ultaa’. The entire cast and crew wished the actress a great year ahead and a cake was cut by her. She thanked everyone for their wishes. She also expressed gratitude to her fans and friends who greeted her on her special day. Vijai Balaji, a former assistant to director A R Murugadoss, is wielding the megaphone for ‘Ultaa’. Rameez Raja, who has done a key role in ‘Darling 2′, plays the protagonist. Besides ‘Ultaa’, Janani is part of a string of movies in Tamil and Malayalam this year, including ‘Thollaikatchi’, ‘Machuka’, ‘Happy Birthday’ and ‘Edison Photos’.